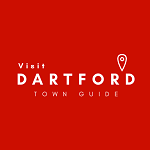 Explore the many things to do from Dartford to London, Loaded with lots of fun activities & days out for Children, Search for free things to do, Be Inspired. Visit Dartford for active & adventurous things to do in Dartford and nearby locations. Find great family days out, loaded with lots of activities for the kids. "I like this place and could willingly waste my time in it"
Check out our mouth watering Food & Drink Guide for Dartford and surrounding locations. From Top Restaurants and Diners to Farmers Markets.